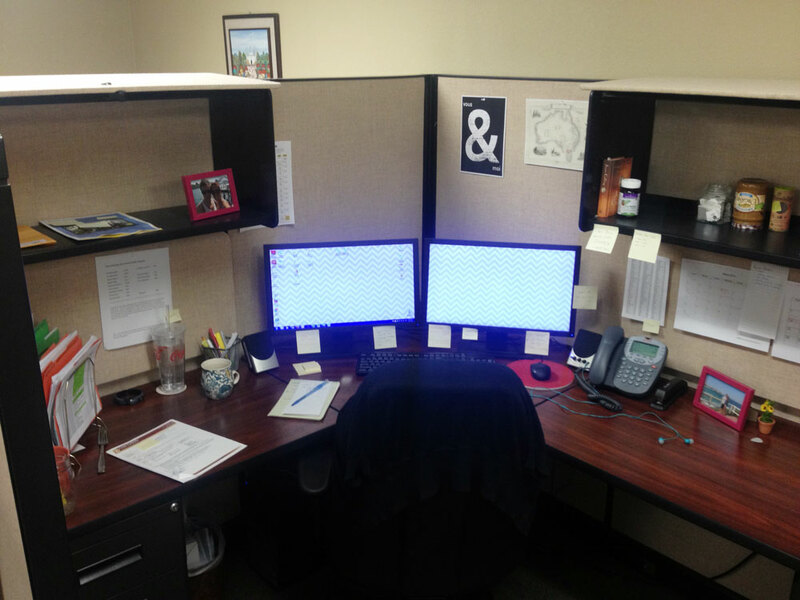 I have a confession: I hate cubicles. I generally hate being confined…well, anywhere. I do however love my job, so that makes things a big challenging. I work for Cross International, and get to help create online marketing campaigns that directly benefit people living in poverty overseas (I mean, that’s a cool job, let’s be honest). This love/hate relationship is always an epic battle, in my mind anyway, especially on Monday mornings. But! I’m choosing to make the best of it. And so, with that, welcome to my cube. Hello Anthro mug. This mug is almost always filled with coffee. 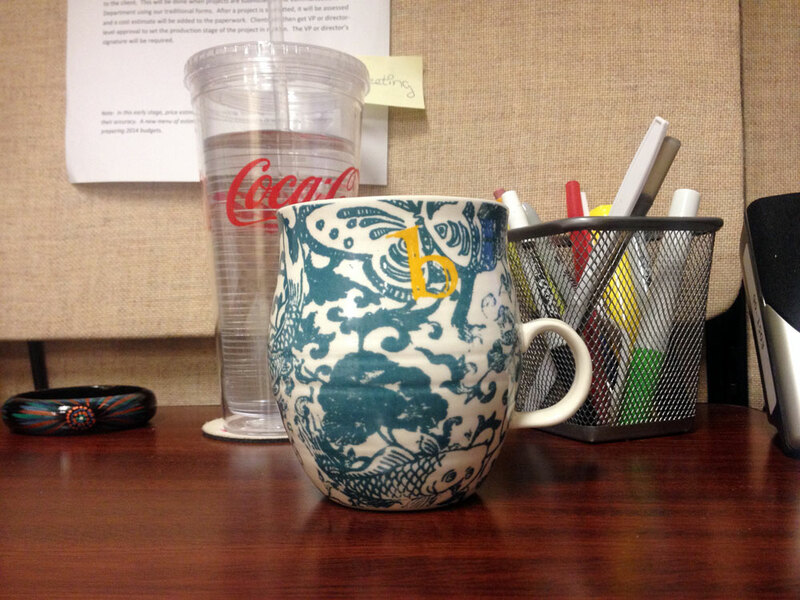 I keep saying I’m going to drink less coffee and switch to tea, and blah blah blah…coffee. 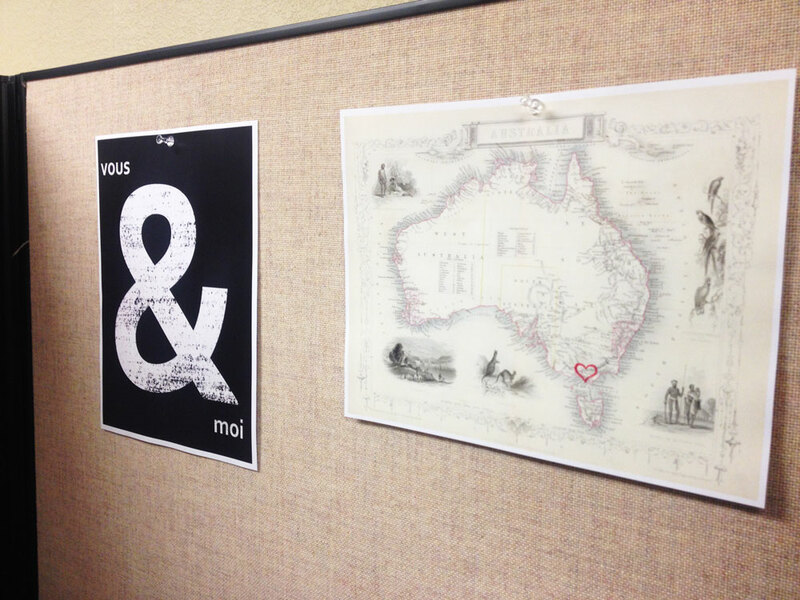 The picture the right was created by the talented Adora Mae, she knows my obsession with all things French. And the map of Australia (with the red heart) reminds me where my heart is these days. 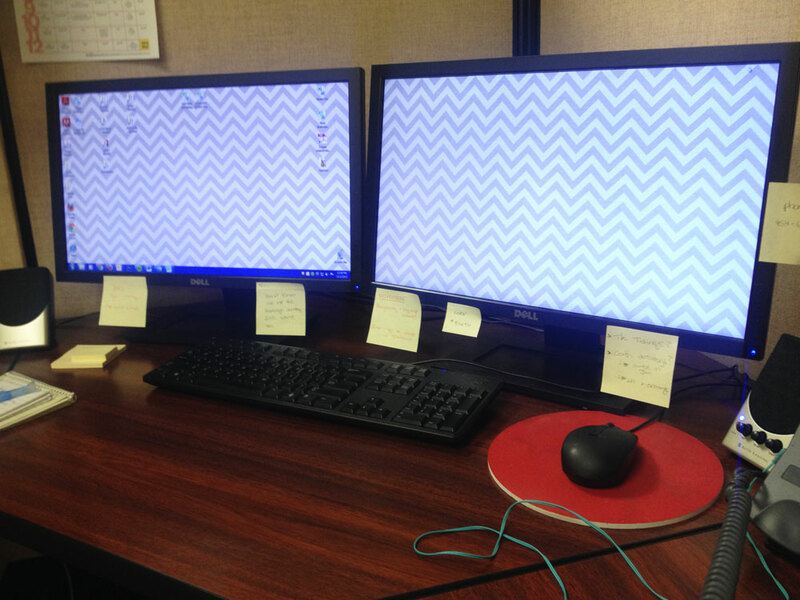 Check the fancy gray chevron pattern on my monitors. It’s hard to hipster a cube, but I’m trying. 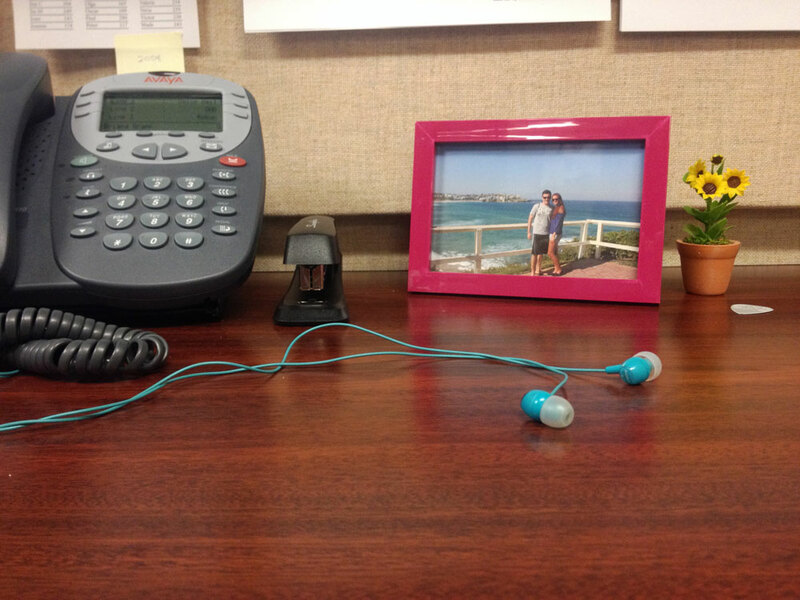 How do you make your work space your own?